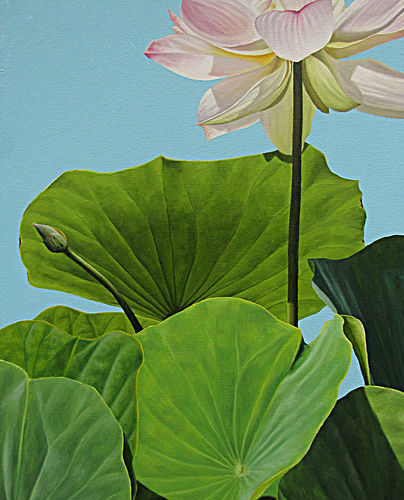 A work by Frank DePietro, the featured artist at the Unionville Art Gala. Thanksgiving is on the horizon, so you know that Christmas-related events will be filling the event calendar over the next few weeks. Fortunately, there are several special events around the area this weekend that are not holiday-related events. The 43rd Annual Unionville Art Gala, which will be held on November 16 and 17 at Unionville High School (750 Unionville Road, Kennett Square, 610-347-1600, www.unionvilleartgala.com), is the largest group art show of the season. It features approximately 70 professional and 50 student artists with works in a wide array of styles and types, including painting, photography, sculpture, jewelry, wood carving and ceramics. There will also be an art silent auction with proceeds from all activities benefiting the education programs at Unionville High School. The featured artist is Frank DePietro, whose work is inspired by close observations of the natural world and encounters with still moments. Live music and light appetizers will be part of the opening night reception on Friday from 6-9 p.m. The show continues Saturday from 11 a.m.-4 p.m. with live music and access to view the art. Admission is free and 30 per cent of all sales are tax deductible. There is also free parking. This weekend, the Greater Philadelphia Expo Center (100 Station Ave., Oaks, 484-754-3976, http://www.phillyexpocenter.com) is going to the dogs. On November 17 and 18, the National Dog Show will be held at the Greater Philadelphia Expo Center – from 8 a.m.-6 p.m. on Saturday and 8:30 a.m. -5 p.m. on Sunday – and Santa Dog will not be making an appearance. 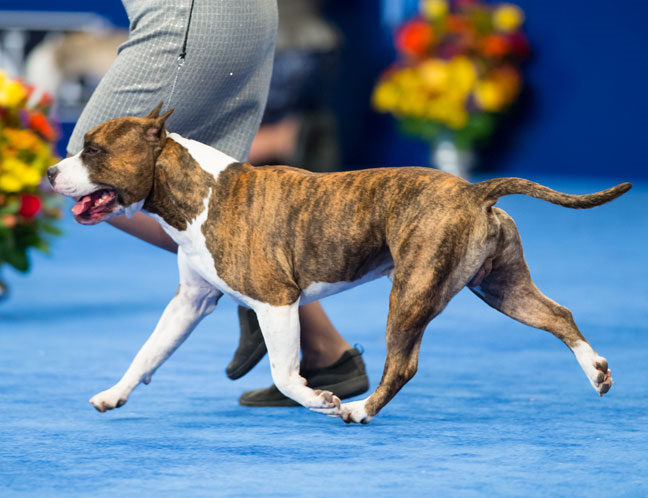 The show’s sponsor – the Kennel Club of Philadelphia – will host two all-breed dog shows with completely different competitions each day. The annual event is one of only a handful of “benched” events in the United States. Many who are not familiar with competitive dog shows may find themselves wondering what the difference is between a benched dog show and a non-benched dog show. A benched show is where the participating dogs are required to be on assigned benches when they are not being shown in competition. This allows for all interested spectators, breeders, handlers and attendees to meet all the participating dogs, interact, ask questions, and share information about the various breeds present at the show. A non-benched dog show does not require all dogs to remain “benched” throughout the competition. The National Dog Show, which has been held annually since 1933, is one of the four remaining (and the oldest) benched dog shows in the United States. Visitors to the show will be able to check out more than 2,000 of the top American Kennel Club sanctioned dogs from across the country. More than 150 different breeds and varieties compete for best of Breed, First in Group and the coveted title of Best in Show. Each day brings different competitions and attractions. Saturday is The National Dog Show Presented by Purina, taped for telecast nationwide on Thanksgiving Day by NBC. It is the most widely viewed dog show in America. Sunday’s show offers more canine competitions, enhanced athletic dog exhibitions plus family-friendly activities and hands-on fun. There will be a full schedule of events each day, including breed judging and demonstration events. The exhibitors at the show will be competing for prizes in categories featuring more than 160 different canine breeds in seven main groups — terrier, toy, working, sporting, hound, non-sporting and herding. From 1-6 p.m. on November 17, NBC-TV will film the “Group” and “Best in Show” competitions for “The National Dog Show Presented by Purina” show which will air on Thanksgiving Day at noon immediately following the Macy’s Thanksgiving Parade. The area will also feature dog-themed face painting, caricatures and more. Admission either day is $16 for adults, $7 for children (ages 4-12) and free for children (3 and under). 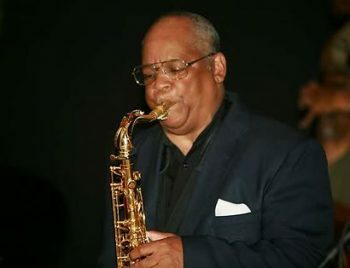 On November 17, Media will host the 16th Anniversary Jazz by Night Celebration (State Street, Media, 610-566-5039, www.mediajazzbynight.com) from 6 p.m.-1:15 a.m. The music will be performed on more than 20 indoor stages around the downtown area. The roster of top-flight jazz acts performing at the Celebration includes Bootsie Barnes B-3 Quartet, Denise King Trio, KMac Trio, Eye2Eye Sextet “Homage to Sun Ra,” Eric Mintel Quartet, Hot Club of Philadelphia, and Lisa Chavous. The line-up also includes, Bruce Anthony, Andrea Carlson, Chameleon, Skip Denenberg, The Carryons, The Midnighters, John Dichter, Dann Pell, Jason Newman Trio, Ben Tinsley & Dimitri Papadopoulos, Matt Richards, Shakera Jones Duo, and Martin, Gilmour, and Fogarty. Adult tickets are $20 ($15 through November 16). On November 17, the always-popular annual St. Gabriel’s Christmas Bazaar & Craft Fair will be held from 10 a.m.-4 p.m. at St. Gabriel’s Hall (Route 48, Avondale, https://www.facebook.com/stgabrielbazaar). The Saint Gabriel Christmas Bazaar and Craft Fair draws artisans and vendors from across the tri-state area. Some of this year’s featured items will be handcrafted jewelry, home decorations, folk art, specialty candles, and scarves. Other attractions include a silent auction, a “50/50 Christmas-fest,” porchetta broccoli rabe sandwiches and fresh mushrooms for sale. The Antiques at Kimberton Show will be held at the Kimberton Fire Company (61 Fire House Lane (off Kimberton Road), Kimberton, http://antiquesatkimberton.com) on November 17 and 18. The popular annual event will run from 9 a.m.-5 p.m. on Saturday and 11 a.m.-4 p.m. on Sunday with a $7 admission fee and free parking. The well-attended annual event will feature more than 65 dealers whose booths will occupy over 10,000 square feet of exhibition space. Visitors will be able to shop for items from a wide variety of antiques categories, including furniture, paintings, jewelry, books and historical items. Additionally, dealers will be on hand to discuss their items and chat about antiques-related topics. Another good option for gift hunting is the Pennsylvania German Folk Art Sale which is presented each year by the Lancaster Mennonite Historical Society (2215 Millstream Road, Lancaster, 717- 393-9745, www.lmhs.org). The event will open this weekend and run through December 31. The annual sale kicks off on Friday with an opening reception from 6-8:30 p.m. The reception features craft demonstrations, live music, a variety of refreshments and displays of the work of more than 20 Pennsylvania artists. The local artists will display their wares, covering a broad swath of traditional art forms originating in the communities of Swiss and German immigrants to Pennsylvania. This includes fraktur, a “broken” method of lettering originally developed to illuminate manuscripts; redware, low-fired ceramics made with red clay; and scherenschnitte, intricate patterns and scenes cut out of paper. There will also be painted boxes, including traditional patterns and those featuring false graining; hand-woven textiles; and hand-quilted wall hangings. In addition to utilitarian offerings, some have a touch of whimsy, such as hand-carved wooden birds. 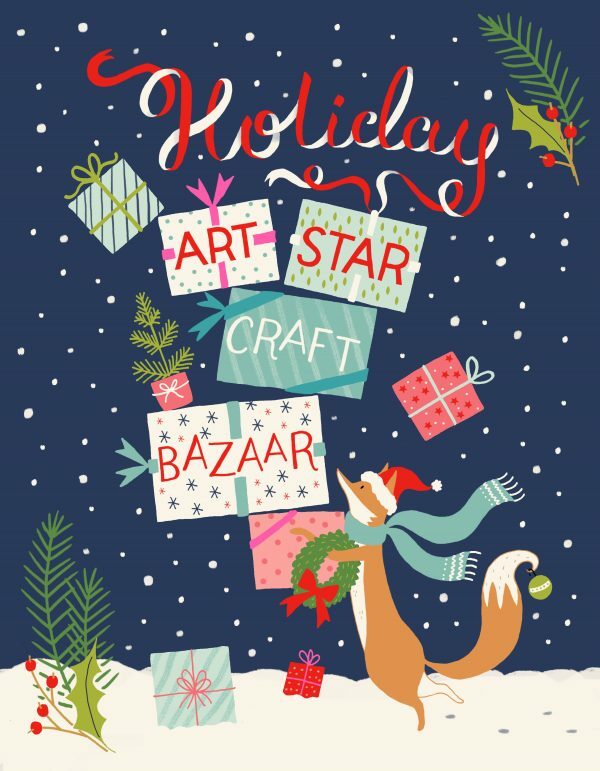 The 2018 Holiday Art Star Craft Bazaar will be held on November 17 and 18 at the Event Center at SugarHouse Casino (1001 North Delaware Avenue, Philadelphia, http://www.artstarcraftbazaar.com/about-art-star-craft-bazaar-philadelphia) from 11 a.m.-6 p.m. on Saturday and 11 a.m.-5 pm. on Sunday. The event will feature a line-up of 75 curated art and craft vendors from the region. The show will provide an excellent opportunity to support independent makers and, at the same time, shop local this holiday season. The show will feature a thoughtfully curated mix of handmade goods by returning Art Star favorites and many new vendors. Jewelry, pottery, housewares, clothing, men’s and women’s accessories, art, prints, blown glass, stationary, papercuts, t-shirts, baby gifts and more will be available. Parked at the show entrance will be some of Philly’s favorite local food trucks – Poi Dog Snack Shop, Oink and Moo BBQ, Kung Fu Hoagies, Sum Pig, Sweet Box Cupcakes, and Pie Stand. The event will include affordable and family-friendly “Make + Takes” by Project Joy Studio, Craft Space Philly and Black Hound Clay Studio. Admission is $3 with children (under 12) admitted free. Longwood Gardens (Route 1, Kennett Square, 610-388-1000, www.longwoodgardens.org) celebrates one of the popular autumnal flowers with its annual Chrysanthemum Festival every year in October. This year’s Mum Fest, which is running through November 18, is a top-flight exhibit featuring more than 20,000 colorful, blooming chrysanthemums in Longwood’s huge conservatory. Longwood’s horticulturalists have grown and developed the mums into a variety of unusual forms. 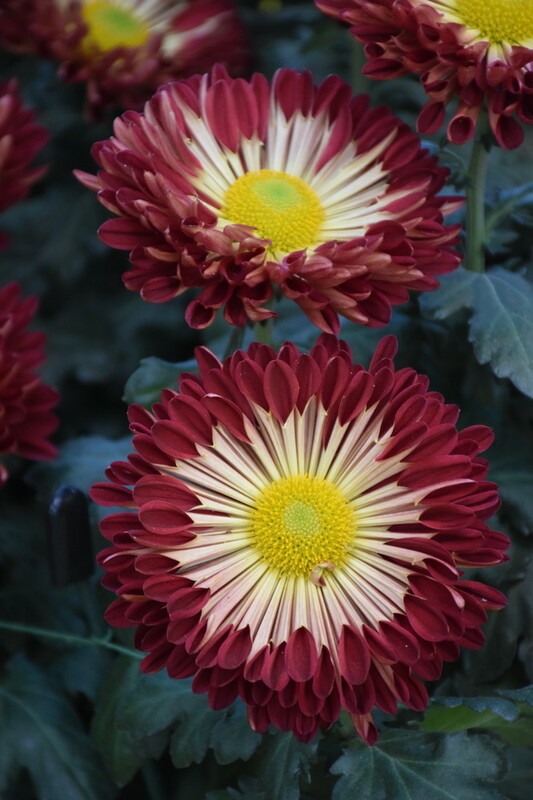 They have groomed chrysanthemums to resemble clouds, torches, spirals, fans, 13-foot arches and more. The stars of the show are Longwood Gardens’ “Thousand Bloom” mums. The Thousand Bloom (known in Japan as Ozukuri) is the most exacting and difficult of all the Chrysanthemum training styles. It derives its name for the ambitious goal of a single chrysanthemum plant producing 1,000 perfect blooms. The method for growing the Thousand Bloom originated in China and Japan more than 200 years ago. It is a dying art form with only a few growers in the entire world skilled in the techniques needed to grow this special plant. This year, Longwood has the largest chrysanthemum outside of Asia on display. Grown at Longwood, the plant is expected to produce over 1,500 perfectly placed, uniform blooms on one plant. During Chrysanthemum Festival, visitors can also check out the colorful foliage of Longwood’s Outdoor Gardens, wander around Meadow Garden and observe the action at the venue’s Garden Railway. 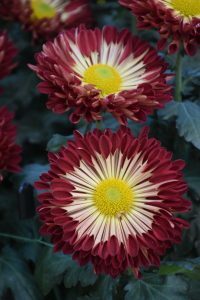 Video link for Longwood gardens’ Chrysanthemum Festival — https://youtu.be/ZyVNUleJ_iE?list=UUHMP1vVm6vrp4PVDb7fZ_Jw. On November 17, the Chestnut Hill Circle of Trees will take place at the Woodmere Art Museum (9201 Germantown Avenue, Philadelphia, Woodmere Art Museum, www.woodmereartmuseum.org). During the event, which runs from 5:30-7 p.m., family and friends come together to meet Santa and celebrate the beginning of Chestnut Hill’s holiday season. The festivities will feature the opening of Woodmere’s holiday exhibition, “The Night Before Christmas: The Illustrations of Charles Santore.” They will also include live music, hot chocolate, and cookies. “The Night Before Christmas: The Illustrations of Charles Santore,” which will be open through January 6, is a holiday exhibition of watercolor paintings from “The Night Before Christmas,” that have been illustrated by the renowned children’s book illustrator Charles Santore. In addition, selections from the Germantown Historical Society bring to life 19th-century traditions with children’s toys, holiday trimmings, an extraordinary dollhouse replica of a Germantown home, and a sculpture of Belsnickel, a Christmas figure from German folklore. Families are encouraged to bring a new, unwrapped toy to donate to a charity for underprivileged children. The event, which is sponsored by the Chestnut Hill Business and Community Association, is free and open to the public. 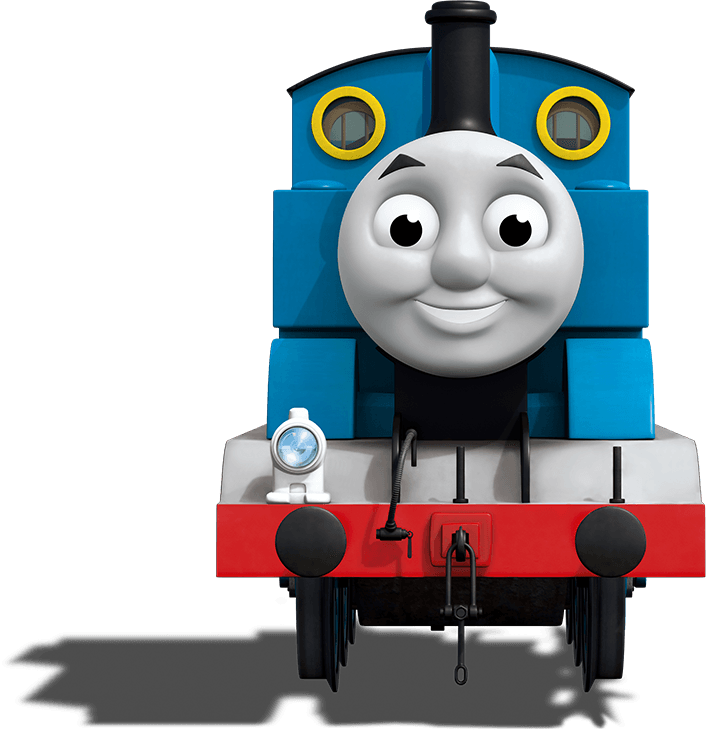 Every year, the steam locomotive named Thomas makes several visits to Lancaster County where he entertains enthusiastic children and their parents. 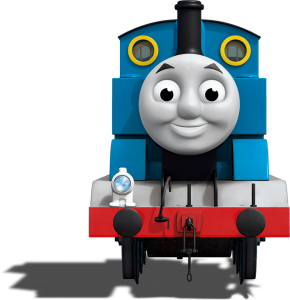 The locomotive, which has its own PBS television series, will return to Strasburg for nine days of “Day Out With Thomas” from November 16-18. If your holiday shopping list includes friends or family who are collectors of antiques — or if you just like to shop for antiques for yourself — there is a special event this weekend that you should check out. 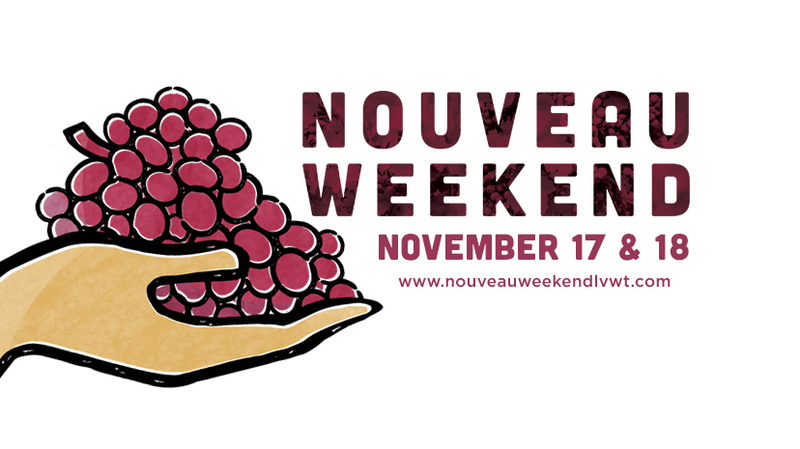 The Lehigh Valley Wine Trail (http://lehighvalleywinetrail.com) is presenting its annual “Nouveau Weekend” on November 18 and 19. 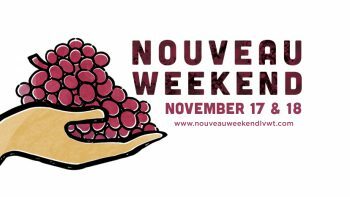 “Nouveau Weekend” is a free event but some of the wineries charge for wine tastings. Event hours at all the wineries are Saturday from 11 a.m.-5 p.m. and Sunday from noon-5 p.m. The eight wineries of the Lehigh Valley Wine Trail will debut the first wines from the new vintage during Nouveau Weekend. Wineries will also feature food and wine pairings for visitors to sample. Nouveau wines are bottled very young without barrel aging and, as a result, exhibit lots of fruitiness. These selections are light and fruity red wines that range from semi-dry to dry. Participating wineries are Amore, Black River Farms, Blue Mountain, Clover Hill, Franklin Hill, Galen Glen, Tolino, Vynecrest and Pinnacle Ridge. On November 18, it will be time once again for the Flyers Wives Carnival at the Wells Fargo Center (3601 South Broad Street, Philadelphia, https://www.nhl.com/flyers/community/flyers-wives-carnival). The Flyers Wives Carnival is one of the longest-tenured and successful one-day charity events hosted by a professional sports franchise. Flyers Charities proudly support a multitude of non-profit organizations that provide educational and recreational resources to underserved youth, engage in important medical and healthcare research and countless community development initiatives across the Greater Philadelphia region. 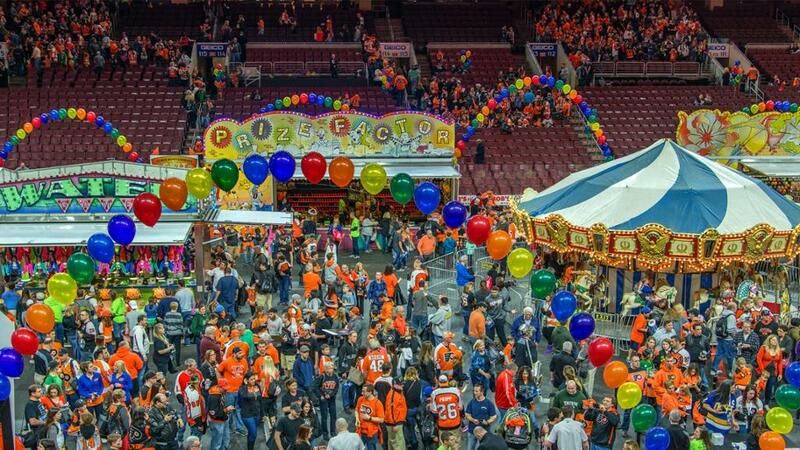 The Flyers Wives Carnival offers families a fun-filled afternoon at a very reasonable price, all for a good cause. Fans have the opportunity to meet Flyers players on a very personal level and receive autographs and photos with players and alumni, alike. Activities include: interactive games against players, a dunk tank, and shot-on-goal. Flyers mascot Gritty will officially be joining the fun at this year’s Carnival – making appearances throughout the entirety of the event as well as taking part in Carnival games with fans and players alike. Tickets are $25 for adults and free for children (12 and under). November 22 is Thanksgiving – a day known for lavish dining feasts and non-stop football games on television. It is also a holiday known for its parades and one of the best parades in the country is Philadelphia’s annual Thanksgiving Day Parade https://www.facebook.com/6abcThanksgivingDayParade/), which is celebrating its 99th anniversary this year. Guests making special appearances this year will Mickey and Minnie, Tweety Bird, Cat in the Hat, a Tyrannosaurus Rex, Curious George, The Grinch, Mr. Potato Head and more. This is an event that should definitely be experienced live – at least once. Spectators can head down to the Center City Philadelphia on Thanksgiving and watch the parade from any number of good vantage points. The parade starts at 20th and Market streets at 8:30 a.m. It then moves toward 16th Street, where it turns left before turning left again onto Benjamin Franklin Parkway. It then follows the Parkway all the way to its conclusion at the Philadelphia Museum of Art. One of the best holiday events in the area is the annual “Yuletide at Winterthur.” This year’s 40th annual staging of the event, which runs from November 17 through January 6 at Winterthur Museum, Garden & Library (Route 52, Wilmington, Delaware,800-448-3883, www.winterthur.org). Revel in the beauty and warmth of the holidays as we explore treasures of Christmases past with displays of holiday traditions from the 1800s to the early 20th century, including displays of: the earliest types of colorful lights decorating house exteriors; a full-room scene of Clement Moore’s Christmas classic A Visit from St. Nicholas; the du Pont family holiday celebrations; and the evolution of Christmas trees over the decades from the 1880s to 1960s. One of visitors’ favorites every year is the 18-room dollhouse mansion created by designer and philanthropist Nancy McDaniel over a period of 30 years. It features amazing intricate details in each room and is even decorated for the holidays! A tree decorated with 458 needlework ornaments, all crafted by Nancy McDaniel will also be on display. As always, the rooms will be enhanced with the floral displays so essential to du Pont’s decorating, and with special Christmas trees inspired by the beauty of the Winterthur garden – including the popular Dried Flower Tree in the Conservatory. Timed Yuletide Tour reservations are required. Admission to Yuletide at Winterthur is $22 for adults, $20 for seniors (age 62 and older) and $5 for children (ages 2-11). Originally constructed more than a century ago, Nemours Mansion is one of Delaware’s grandest buildings and includes the largest formal French garden in North America. Ever since 1910, when Mr. and Mrs. duPont began living in their newly built mansion, the holiday season has been a festive time at Nemours. The Christmas decorations at the Nemours Mansion are often inspired by the architecture of the home, the customs of the duPonts or the French influence. The Mansion is also decorated by some of the duPonts’ original decorations, including a German crèche, which dates from the late 19th century. The figures are soft ceramic, unglazed and hand-colored. Visitors can enjoy Christmas trees, wreaths, and hundreds of feet of garland on grand display in the Visitor Center, Chauffer’s Garage, Mansion and grounds. New this year, the mechanical wing of the basement will feature holiday displays made from metal, glass and industrial elements sure to inspire any inventor or engineer. The Historic Odessa Foundation’s 2018 Christmas Holiday Tour is an event with an appeal that spans generations. The tours will be presented now through December 30 in Odessa’s historic district (Main Street, Odessa, Delaware, 302-378-4119, www.historicodessa.org). This holiday season the Historic Odessa Foundation (HOF) is celebrating the 31st anniversary of the Historic Houses of Odessa’s annual Christmas Holiday Tours and Exhibits inspired by works of classic children’s literature. This holiday season the Historic Odessa Foundation will be having a Dickens of a Christmas as it celebrates the 175th anniversary of Charles Dickens’ indelible classic “A Christmas Carol, In Prose, Being a Ghost Story of Christmas,” first published in 1843. Visitors will be transported into Charles Dickens’ powerful Christmas tale of redemption as the 244-year old Corbit-Sharp House is transformed into the world of the miserly Ebenezer Scrooge with vignettes to include depictions of his counting house, his lodgings, the festive Mr. Fezziwig’s ball, the austere house of Tiny Tim, the parlor of Scrooge’s nephew Fred, and the cemetery. All of the Historic Houses of Odessa are open and on full festive display for the 2018 Holiday Season, including special school and family tours and events celebrating “A Christmas Carol, In Prose, Being a Ghost Story of Christmas” and special exhibit in the National Historic Landmark Corbit-Sharp House (c. 1774), and the Storybook Trees exhibit in the Wilson-Warner House (1769). Special events and tours will be held throughout the holiday season including “Candlelight Tours” at 7 p.m. on November 27 and 29 and December 4, 6, 11, 13, 18, and 27; “Christmas in Odessa” on December 1 from 10 a.m.-5 p.m.; “Storybook Time” on December 5 at 11 a.m. and 4:30 p.m.; “Festive Foods/Hearth Cooking Demonstration” on December 8, 15, and 29 from 10 a.m.-3 p.m.; “Children’s Holiday Tea Party” on December 9 at 2 p.m.; and “Curator Candlelight Tour” on December 20 at 5 and 7 p.m. The Historic Houses of Odessa are open Tuesday through Saturday, from 10 a.m. to 4:30 p.m., and Sunday from 1 to 4:30 p.m. The last full tour of the Historic Houses starts at 3 p.m. The Houses will be closed on December 24 and 25. Admission to the Historic Odessa Foundation holiday tour is $10 for adults, $8 for seniors, and students and free for children (under 6). Two of Montgomery County’s scenic historic sites are ready to begin celebrating the 2018 Christmas holiday season. Pennypacker Mills (3 Haldeman Road, Perkiomenville, 610- 287-9349, www.historicsites.montcopa.org) is hosting “Victorian Holiday Tours” from November 20-January 6 while “Twelfth Night Tours at Pottsgrove Manor” (100 West King Street, Pottstown, 610-326-4014, www.historicsites.montcopa.org) are running from November 23-January 6. For the next seven weeks, Pennypacker Mills will offer free tours of the 18-century mansion used by General George Washington as temporary headquarters during the Revolutionary War. The home will be decorated for an old-fashioned Victorian Christmas and will feature the warm glow of oil lamps, festive decorations and a candy-making demonstration. Suggested donations for these events are $2. Other activities at Montgomery County’s “Historic Sites” are “Holiday Craft Workshops” at Green Lane Park (215-234-4528) on November 17 featuring local cones, pods and nuts to create a holiday centerpiece; “Thanksgiving Centerpieces” at Norristown Farm Park (610-270-0215) on November 18 with park employees supplying colorful leaves, acorns and other nuts, grasses, field-dried wild flowers, berries, and fresh fall flowers for your masterpiece; and “Audubon Bird Town Bird Walks Lorimer Park” (215-947-3477) on November 20 where participants can look for late fall migrants passing through and returning winter residents. A popular Philadelphia attraction is the Center City Parks District’s Rothman Institute Ice Rink at Dilworth Park along with the Rothman Institute Cabin. The Rothman Institute Ice Rink at Dilworth Park is an unparalleled entertainment experience on Philadelphia’s center stage in a wonderfully urban and unique setting. Open seven days a week, the rink offers wintry fun for all ages, with a full slate of programs. Now that Christmas activities have begun, Peddler’s Village (Routes 202 and 263, Lahaska, 215-794-4000, http://peddlersvillage.com) is starting its celebration and that means there will be a lot of activity at the site over the next few weeks. Visitors to the Village can join special guest Mrs. Claus for festive fun and mini-lightings in a different Village neighborhood each night leading up to the Village-wide Grand Illumination Celebration. Village shops will be open until 9 p.m. with a distinctive assortment of merchandise, special promotions and refreshments. The Grand Illumination will showcase thousands of tiny white lights outlining the Village’s buildings, colorful lights with less-than-common colors (teal, peach, and fuscia) adorning the trees and shrubs and a landscaped backdrop featuring a group of reindeer glowing in white light. Santa will arrive to turn on the lights and officially mark the beginning of the event. After the lights go on, visitors will be treated to free cider and toasted marshmallows. The 2018 Franklin Square Holiday Festival (200 North Sixth Street, Philadelphia, http://www.historicphiladelphia.org/franklin-square/holidays-in-franklin-square/) opens its season this weekend and it will run until December 31. The Electrical Spectacle Holiday Light Show will be open from 4-8 p.m. daily and 4-9 p.m. on Saturdays and Sundays and will be closed on Thanksgiving and Christmas Day. Visitors are invited to experience the magic of the holidays and celebrate traditions new and old at the Franklin Square Holiday Festival. Inspired by Benjamin Franklin’s electrifying genius, the free Electrical Spectacle Holiday Light Show presented by PECO is the key to holiday fun in Franklin Square. Attendees can marvel at more than 50,000 lights as they shimmer, dance, and illuminate the Square to a soundtrack of holiday classics, some of which are performed by The Philly POPS in two alternating shows every 30 minutes. Every evening, one lucky audience member will be selected to “ignite’ the 4:30 p.m. show. Additionally, visitors can enjoy comfort foods, seasonal snacks, and hot beverages at Ben’s Sweets & Treats and SquareBurger, festive beers and cocktails presented by Cooperage at the Winter Beer Garden, special holiday events on #FranklinSquareFridays, Santa Saturdays, and Seasonal Sounds on Sundays. Now that Christmas activities have begun, Peddler’s Village (Routes 202 and 263, Lahaska, 215-794-4000, http://peddlersvillage.com) is starting its celebration and that means there will be a lot of activity at the site over the next few weeks. Peddler’s Village’s “Kick Off to the Holidays” will take place on November 9 from 6:30-8:30 p.m. The Grand Illumination Celebration, which is scheduled for November 16, will showcase thousands of tiny white lights outlining the Village’s buildings, colorful lights with less-than-common colors (teal, peach, and fuscia) adorning the trees and shrubs and a landscaped backdrop featuring a group of reindeer glowing in white light. Santa will arrive to turn on the lights and officially mark the beginning of the event. After the lights go on, visitors will be treated to free cider and toasted marshmallows. November 16 also marks the start of Peddler’s Village “Gingerbread House Competition and Display.” Slated to run through January 5, the “Gingerbread House Competition” features over $2,000 in cash prizes in such categories as Traditional and Authentic Reproduction of a Significant Building. If you really want to get into a Christmas mood early can visit Koziar’s Christmas Village (782 Christmas Village Road, Bernville, 610-488-1110, www.koziarschristmasvillage.com) which begins its 71st season on November 3. Koziar’s Christmas Village is truly a holiday wonderland — a wintertime spectacle that delights young and old alike with a huge amount of holiday displays and special attractions. It will remain open every night through January 1 — including Christmas Eve, Christmas Night, New Year’s Eve and New Year’s Night. The tours of “Christmas Village” feature visits to a variety of displays and exhibits, including “Santa’s Post Office,” “Christmas in the Jungle,” “Manger Scene,” “Christmas Beneath the Sea,” “’Twas the Night Before Christmas,” “Olde Fashioned Bakery Shop,” “Toy Maker and his Toy Shop,” “Christmas in Other Lands” and “The Olde Church”. Other attractions at Koziar’s Christmas Village include a huge model train display, a toy shop, a country kitchen, indoor and outdoor Christmas displays and a place to visit with Santa and even get pictures taken with the old guy in the red suit. Admission to Christmas Village is $12 for adults, $11 for seniors (65 and older) and $10 for children (ages 4-10). The American Music Theatre (2425 Lincoln Highway East, Lancaster, 800-648-4102, www.AMTshows.com) has its holiday show running now through December 30. The AMT’s 2018 show “The First Noel” is an all-new presentation of favorite sacred and secular holiday songs performed by professional artists from across the country. The show will feature spectacular vocal harmonies, lively musical arrangements, impressive dancing and the music of the AMT Orchestra. Also featured will be elaborate scenery, elegant costumes and a theater decked out with holiday decorations. “Christmas Candylane,” which is the annual holiday event at Hersheypark (100 West Hersheypark Drive, Hershey, 800-HERSHEY, www.hersheypark.com), is running now through December 31. Visitors to Hershey can also experience the winter wonderland called “Hershey Sweet Lights, A Holiday Drive-Thru Spectacular.” The attraction is a two-mile drive through wooded trails featuring approximately 600 illuminated, animated displays. Admission to “Christmas Candylane” is $26.95. “A Very Furry Christmas at Sesame Place” (100 Sesame Road, Langhorne, www.sesameplace.com) is a festive, family-friendly celebration with everyone’s favorite Sesame Street friends live and in-person at the amusement park in Langhorne. The annual event, which runs through January 1, offers a wide array of family holiday activities. As an added attraction this year, Rudolph the Red-Nosed Reindeer is spending the holiday season at Sesame Place. The lovable reindeer along with his friends Clarice and Bumble, will be available for photos with guests. Tickets for “A Very Furry Christmas” are $34.99. The Rainbow Comedy Playhouse (3065 Lincoln Highway East, Paradise, 800-292-4301, www.Rainbowcomedy.com) is presenting its holiday production “Christmas in Paradise” now through December 29.